The Patient Protection and Affordable Care Act (PPACA) requires all employers to provide a notice of coverage options (referred to as the Marketplace Notice) to their employees with information about the health coverage options available through the Marketplace. The City of Woodstock is pleased to provide you with the Notice of Coverage Options and FAQs designed to help you navigate through these options. Marketplace Notice of Coverage Options – provides information about the existence of the Marketplace, along with specific information regarding the health care coverage provided by the City of Woodstock. 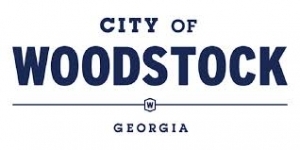 Please note that the City of Woodstock only offers benefits to full-time employees who work a minimum of 30 hours per week and their eligible dependents. While employees working less than 30 hours aren’t eligible for coverage through the City of Woodstock, you can research your options through the Marketplace. We encourage you to carefully research all of the options available to you, so that you can make the best decision regarding coverage for yourself and your dependents. If you have any questions regarding your health insurance coverage offered through the City of Woodstock, please contact the Benefits Team at (678) 540-1428 or woodstock@a2benefits.com. For more information on the marketplace, including your eligibility for coverage, cost and an online application for coverage, please visit www.HealthCare.gov.